That thing is gorgeous! What is the approximate diameter of the bowl? So I got a little too excited and posted before I received the item. The bowl is not the weight or diameter which they claimed, but I do not care at all. The diameter is 6" not 9. It weighs 550 grams which is a little less than they said, so got it 23% under. The thing is more amazing in person. The weight to size is unreal, very heavy for that size bowl. Its a true masterpiece. Flawless. It is the coolest piece of silver I have held. Talk about ornate! She's a beauty. Whatcha gonna do with it? Put it to use or toss it in the lake? I always go by the anything that can be sold for over melt goes. Will maybe hang onto it for a few months/years then get sick of it and dump it. Should sell for well over. However this could be one that is hard to let go of. May be worth a de-toning dip/gas to make her "pop". Yes that's a nice find. Very ornate. I wouldn't let it go. Another fabulous looking piece. Both too nice to be sitting at the bottom of a lake. Enjoy! Even though I am a collector of '70's silver art bars, I "think like a businessman". Even when I buy a '70's silver art bar to add to my personal collection (and not as business inventory for resell purpose), I have to think like a businessman in the sense that if I decide that I did not want it anymore, then I can sell it through my Schedule C business and make a net profit on it. Thinking like a business man means paying close to spot as possible in order to leave room for profit down the road if/when it gets sold. Admittedly, "thinking like a businessman" does not always work for me when it comes to new gold and silver coins that have just been released from USMint, JMB, APMEX, etc.. For example, buying certain new coins (gold or silver) from the USMint such as the 2019 Apollo 11 5-oz .999 proof coin. I also want to state that there is nothing wrong with paying a collector premium for a coin or rare bar since there is currently and will ALWAYS be a market for collectible silver art bars/rounds/coins online (andoffline). "Buy What You Like" will always be the motto for collectors and that helps me continue to generate a net profit with my Schedule C business. Even to this day, I will still occasionally pay a premium for certain coins or bars that I truly love and cannot live without. For example: Myself occasionally buying from the USMint. Afterall, I am still a collector. During my 10 years as a '70's silver art bar collector, I have been on both sides of the premium game...........one side as a collector paying a collector premium for something and the other side as a seller getting a collector premium for selling something. The "Thinking like a Businessman" philosophy was a HUGE change for me as a '70's silver art bar collector especially when I started my ebay/online business nearly a year ago selling "collectible silver" because I make money on the buy. Here we go... Morgan dollars for $4.99 a piece. Pretty sweet deal! You can even pick the mintmark they'll put on it. That's customer service right there. "Don't care and have a nice life"
That's what an eBay seller wrote to me relatively recently. He/she has little eBay experience. Told me that package was shipped on certain day but nothing was provided by way of tracking number. I asked for it several times. Now he/she says that actually the package was never even shipped. Oh and that payment I made was never received I was told. Oh please. Had to open a case. In another instance, I bought a decent size lot of pre-1964 quarters from someone who never even booked a sale. Everything went great incl. communication back and forth. I paid well under melt! Go figure. In the end, sometimes buying from zero-feedback sellers works great but other times it's a complete flop. Whats a good resource to find out what mint releases would make good investments? http://www.coinnews ? I've got a copy if you have anything you'd trade. Having helped Anthony J. Swiatek write his book on commemorative coins, I would steer clear of the modern market. With the semi-key 2001 Capitol Visitor Center $5 down from $600 to $700 to now $472.50 for a MS-69 on eBay your money is best spent on timeless classics that appeal to multiple collector segments. This is one of the reasons why I have gone straight to the bullion market. Buy the metal first, collector premium second. Snagged this on JM Bullion today after it hit me that it was a no brainer. Too bad they only had one. That is crazy! Way under melt - nice snag! I got the Sov. Screwed up and hesitated. Could of had the $100 dollar coins if I didn't think for a split second. I was clicking refresh every second for a about 20 min. Ill let you know if I get the sov. Nicely done, brother! Wasn't it under $200 shipped? Whatever it is, hope it works out. $150 and also got 10 percent ebucks. The other deals were unreal. Still kicking myself for thinking. I had to be a split second behind the buyer on both of the others. Looks like they were all real. The sov came today. 200 War Nickels for $170 shipped and seller is taking offers. That's one heavy package or, said differently, a lot of gross weight to yield just a bit over 11 ozt of silver! This seller is having a proof set party! 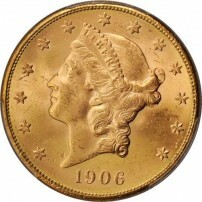 Great prices on silver & gold commem. proof sets. I wanted to pick up the Mt. Rushmore set. No luck. I think different user names than last time but imagine same deal, i.e. no coins will be shipped. Avoid. P.S. The listings are nowhere to be found now. I found this locally but Im not seeing any other info online. The best thing to sell on ebay is something no one else is selling. Yep, and the longer the auction the better. I've seen some insane bidding wars on rarities. Been looking at simliar types of silver poured bars, pretty cool but unwilling to spend the premium. I mean after all, it's just poured silver bullion. "Silver bars" are a niche market on ebay that can net surprising results.